natural way in which we make sense of the world. 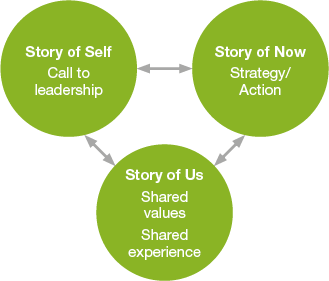 Story of Self: What called me into action? give a challenge, a choice for action, and an inspired outcome. world as it should be, this create a a sense of urgency, supported by hope for better.